From left to right: Bruno Le Maire, French Minister of Economy and Finance, Thierry Breton, Chairman and CEO of Atos, Arnaud Bazin, Senator of Val d'Oise, Benjamin Chkroun, Regional Councillor of d'Ile-de-France, Jean-Yves Latournerie, Prefect of Ile de France.4 Apr 2019 Paris - Atos, a global expert in digital transformation, and Google Cloud have inaugurated a joint artificial intelligence (AI) laboratory in the presence of Bruno Le Maire, French Minister of Economy and Finance. Set up as part of the global partnership between Atos and Google Cloud, this laboratory, which is unique in France, enables clients, businesses and public organisations to identify practical cases, for which AI could provide innovative and effective solutions. Through this laboratory, Atos is helping AI solutions to be adopted in Europe. In its Cloud and hybrid Cloud data centres it ensures the security of both the data and the processing of it, as well as compliance with the European regulation on the protection of personal data. 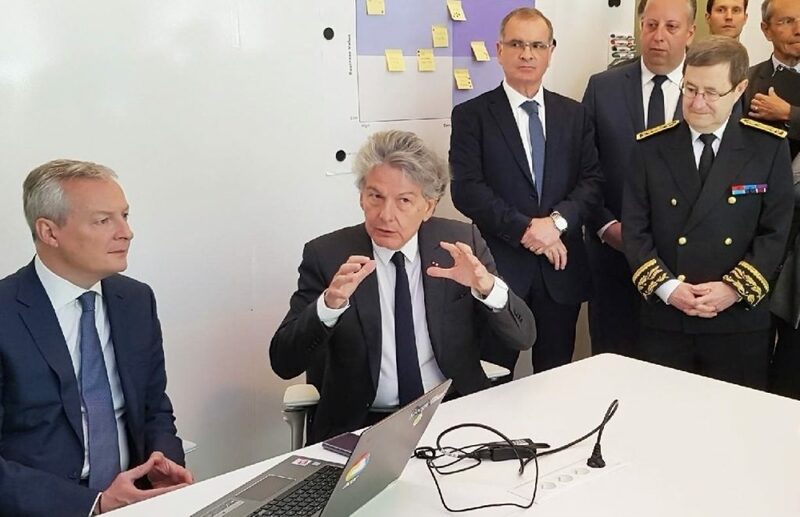 Thierry Breton, Chairman and CEO of Atos, stated: "In order for France to continue to play a key role in the information space, it has to invest heavily in artificial intelligence and new technologies. Beyond economic development, being able to offer technological excellence while protecting European data is a matter of sovereignty. With this joint laboratory between Atos and Google Cloud, we are enabling the adoption of artificial intelligence by our clients by offering them the best technologies and the highest level of security for their data processing, all within a clearly defined European regulatory framework. As such, Atos combines economic and technological development with sovereignty, compliance and security and helps to design a secure and valued European information space." Eric Haddad, France's Managing Director of Google Cloud, stated: "Our technologies enable our partners and their customers get the best value out of their data securely. This laboratory is a concrete example of the close collaboration between the Atos and Google Cloud teams, as well as our commitment to help French and European businesses define new business models based on artificial intelligence."